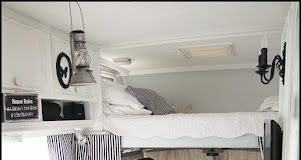 Vintage Decor : Picture Description Home Sweet Motorhome: One of my FAVORITE RV remodels – LOVE all the black and white! Vintage Decor: A black and white photo wall…. Vintage Decor : Picture Description A black and white photo wall.